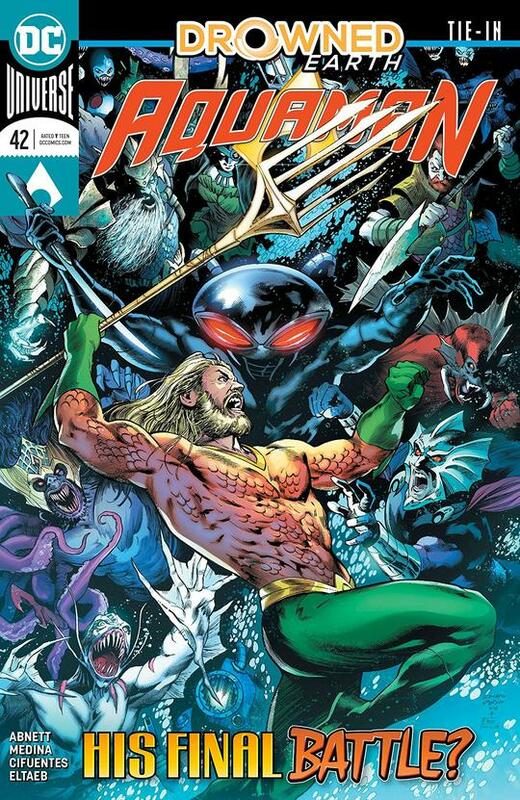 Poseidon has impaled Aquaman after the former king of Atlantis sought his aid to save Earth. Now, Arthur Curry must look into his past to save the future. He is now in the Dead Sea with his father face to face with the ultimate test. His mistakes, his regrets and his impulsive decisions come back to haunt him. Yet, it's his love for Mera that helps him pass Poseidon's trials. A punch to the sea god's face makes Arthur glow with power. Yet, will that power be enough to save Earth from being drowned? Find out in Justice League #12. Story - 5: I don't always have time to read all the comics I want, but I'm glad I got this one for the "Drowned Earth" story. Dan Abnett continues to be at the top of his game with this one. I hope we haven't seen the last of him at DC. He's given us a comic that is fast paced and entertaining. This could be great as a stand alone and a tie-in. It's an all-around perfect issue for someone who doesn't read this title regularly. Art - 5: The art reminds me a bit of Dan Jurgens' style, which I've always loved. Medina and Abnett work perfectly together. Get them on a Super title, DC. Cover Art - 5: It is somewhat of a spoiler, but this cover will hook folks in to buying the book and reading it. Poor Arthur has his work cut out for him in this one. 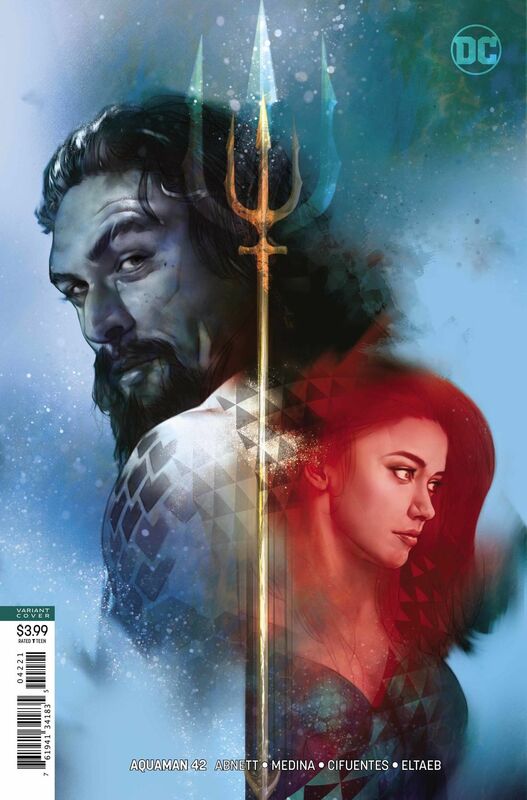 Variant Cover Art - 5: Clearly DC's cashing in on what they hope will be the Aquaman film's success. Still, these Mamoa variants for "Drowned Earth" aren't too shabby so far.